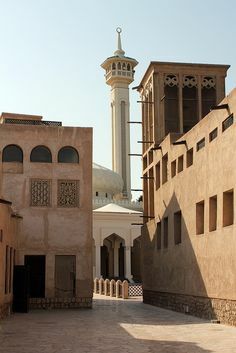 Al Fahidi Historical Neighbourhood also known as Al Bastakiya is a historic district in Dubai, United Arab Emirates (UAE). Bastakiya is from "Bastak" which was a town part of the Arab-dominated province of Lars in south central Iran. 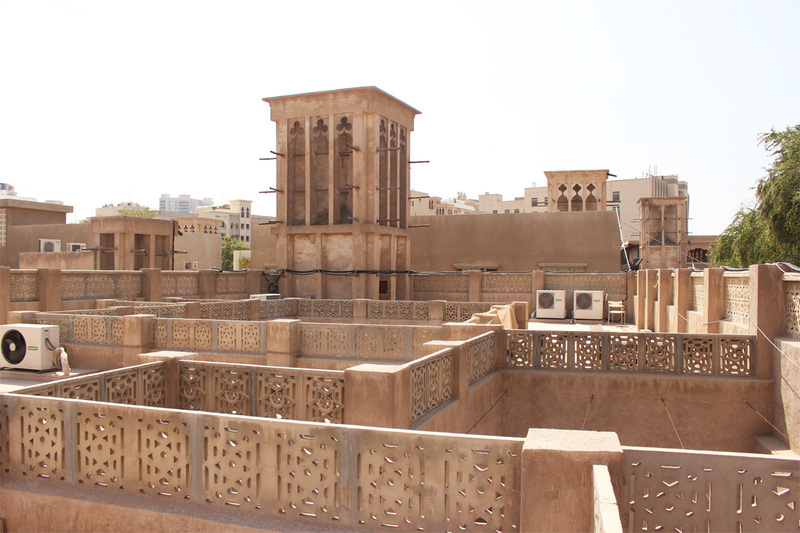 The construction of Al Fahidi Historical Neighbourhood dates back to the 1890s. In its prime, the locality was capable of supporting 60 housing units, most of which were separated by narrow, winding lanes. In the 1980s half of the Al Fahidi Historical Neighbourhood village was destroyed to make way for the development of a new office complex. The remaining houses were mostly used as warehouses or accommodation for foreign laborers. In 1989, the Dubai Municipality directed that the remaining parts of Al Fahidi Historical Neighbourhood were to be demolished. Rayner Otter, a British architect, came to the area and made extensive renovation in the house where he was staying. Rayner started a campaign to preserve the area and wrote a letter to Prince Charles, who was scheduled to visit Dubai that year. On his arrival, Prince Charles asked to visit Al Fahidi Historical Neighborhood and explored the whole area with Rayner Otter. During his visit the Prince suggested that Al Fahidi Historical Neighbourhood should be preserved and the demolition was canceled.